ANN ARBOR, Mich. and CAMBRIDGE, Mass.—The University of Michigan and Harvard University are forming two new partnerships designed to spur economic mobility and reduce poverty in Detroit, as well as combine resources and expertise in response to the national opioid crisis. 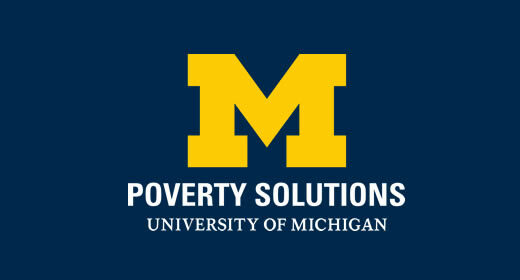 The Equality of Opportunity Project—led by Harvard faculty members Raj Chetty and Nathaniel Hendren and Brown University’s John Friedman—will work with U-M’s Poverty Solutions initiative, led by Luke Shaefer, U-M faculty member and Poverty Solutions director, according to today’s announcement. U-M has a long history of working hand-in-hand with local leaders, stakeholders and policymakers to address economic issues in the city. This new collaboration represents an expansion of work currently under way by the Poverty Solutions team in Detroit, with the Harvard team providing its latest insights from big data and bringing new perspectives to the city’s pressing challenges. In addition to the economic mobility efforts in Detroit, the universities announced plans to convene cross-disciplinary experts and practitioners from government, medical, public health, criminal justice, policy and other fields to address the growing opioid epidemic in cities and rural areas around the country. The announcement of this partnership comes as Harvard University President Lawrence Bacow, who grew up in Pontiac, Mich., is scheduled to speak at Detroit Homecoming, an annual event that welcomes high-profile Detroit “expats” back to the city to reconnect with their hometown and build relationships with each other. “I am delighted that Harvard will be partnering with one of the country’s leading public research universities to make progress on issues that are among the most pressing of our time,” Bacow said. “Our teams will bring research-led insights to the issues of economic mobility and the opioid crisis, and working with Mayor Duggan and his team, seek to translate those insights into action. The new partnership on economic mobility will create a plan to identify solution-based interventions in Detroit that will complement, support and strengthen the neighborhood revitalization, housing affordability and youth-focused initiatives previously announced and being implemented by Detroit Mayor Mike Duggan’s office. Duggan said he appreciated the partnership. “We are trying to build a comeback that includes all Detroiters and we welcome the support of these two prestigious institutions in that effort,” he said. In addition to the economic work between U-M and Harvard, the two organizations will collaborate on another complex societal issue: the opioid epidemic. The institutions note that while there are numerous efforts under way in cities across the country attempting to address the epidemic, there is a need to share proven approaches that will make a measurable and sustained difference. The first of the universities’ joint policy summits on the opioid epidemic could be scheduled as soon as this winter, organizers said. The summits will convene policymakers and experts from Michigan and Massachusetts and from across the institutions to share best practices and solutions regarding prescribing, prescription drug monitoring, drug overdose detection, access to treatment and criminal justice. The summits will continue U-M’s work in combating the epidemic. Opioid Solutions, a resource developed by the U-M Office of Research, Injury Prevention Center and Institute for Healthcare Policy and Innovation, serves as a central hub for U-M research, educational activities and community outreach related to opioids. The network draws on nearly 100 U-M faculty—in fields ranging from psychiatry, pharmacy and public policy to basic science and law—whose research explores opioid misuse and overdose. Michigan experienced 18.5 opioid-related overdose deaths for every 100,000 residents in 2016. For Massachusetts, the number was 29.7.